Confidential 24 hr peer to peer service for individuals, family members, or those who would like someone to talk to about their journey. Peers provide personal experiences of wellness, recovery, and hope. Peers are not licensed professionals and it is not a crisis hotline. IOP programs are offered in the morning for women and in the afternoon and evening for men and women. The groups occur three times per week for a minimum of three hours. Services include evidenced based individual and group counseling, medication management, family therapy, and psychoeducation groups. Case management services includes: coordination of on-site treatment services. Case managers will link and refer individuals to educational and vocational counseling, mental health treatment providers, child care, parenting skills and development, primary health care, and other services as needed. Evidenced based outpatient therapy provided by a licensed therapist (LPC or LCSW) on a weekly/bi-weekly basis or as needed. The Peer Recovery Specialist utilizes their lived experiences of recovery plus skills learned in formal training to provide non-clinical group and individual sessions with the individuals to promote their recovery and resiliency. Peer Support Specialists offer emotional support, share knowledge, teach skills, provide practical assistance and connect individuals with resources, opportunities, communities of support and other people. Services are non-clinical, person centered, strengths based, wellness focused, and trauma informed. Peer support services help to ensure the individual’s wellness-recovery plan. One hour group that meets weekly. Gender specific and mixed groups for men and women who are in the contemplation or preparation stages of change. Provides support for change and motivation for recovery. 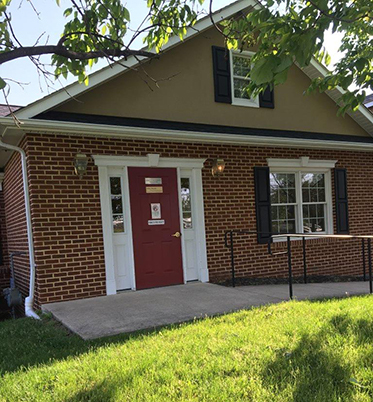 The Women’s Outpatient Program is a weekly gender specific program for women with substance abuse and co-occurring mental health disorders. The program consists of Group Therapy, Substance Abuse Education and Life Skills Education. The Substance Exposed Infants Program (SEI) provides case management services to mothers, both prenatally and post-delivery, as well as fathers who are using substances. SEI Case Management provides linkage to services such as therapy, Medically Assisted Treatment, IOP/SA groups, and other supportive services. Additional Case Management services are available to the children of the parents through a direct referral to Northwestern’s Children’s Case Management Team. Free weekly peer support group led by a peer support specialist. Coffee and Kickin’ it is open to anyone, in recovery or still using. Participants can learn about substance use and substance use services in a supportive atmosphere. Program offers participants trauma sensitive techniques for reconnecting with the body and experiencing life from the inside-out. Recovery with Yoga is offered two times per week.